Mimi went above and beyond to make sure my beaded bracelet repair was perfect. I couldn’t have asked for a better experience; I’m so glad I found her! This fresh and modern bracelet has it all. The chain is made on alpaca silver which makes it lighter and easy to wear. 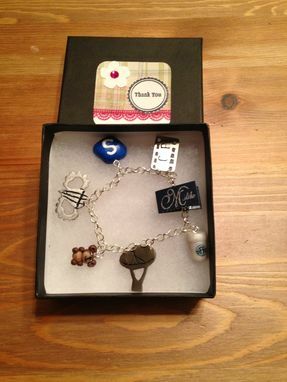 The charms are made on titanium and polymer clay to give a little more of color to the bracelet. Very professional and great communicator. Knew what to ask for in details of my project and delivered. All I can say is the item that was made for me was an amazing gift a friend of mine stated.